Well, not so fast. Spring isn’t coming fast at least here in New York, where our yard is still snow covered. At least the temperature reaches over 32F/0C on many days now. 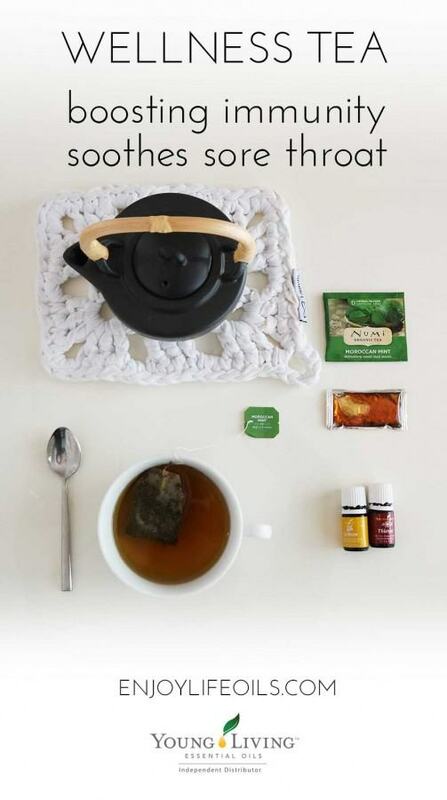 To get through the rest of winter/early spring without getting sick and keeping my spirits high, here is what I have been drinking the past couple of weeks: wellness tea with Young Living’s essential oils. I joined Young Living a few months ago, and it’s easy to say it has already changed our family’s life. In fact, even my husband wanted to join me in the business side as well and wants to share the oils with co-workers and friends too. If I can get my helicopter test pilot excited about essential oils, you know they have to be good! Skimbaco Lifestyle team members Leigh and Wes already joined as well, and we are all excited testing the essential oils and seeing how they make a difference in our everyday lives. Notice: I only recommend using Young Living essential oils. Not all essential oils that you can find in the stores are suitable for ingestion. 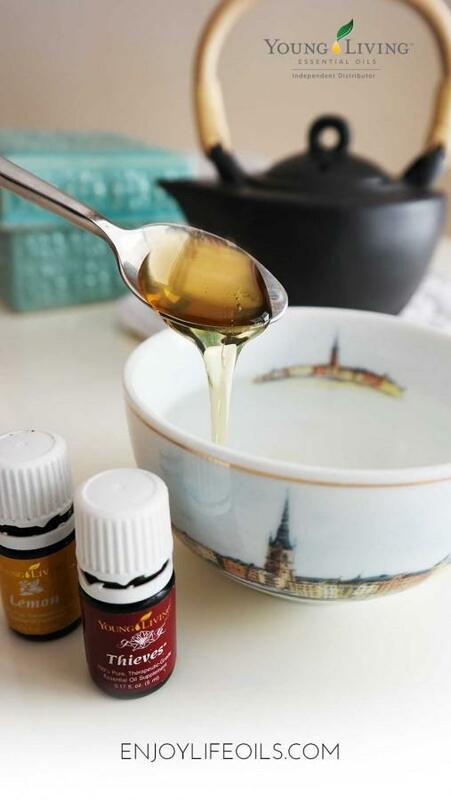 Boil water, add to cup, mix in the oils! You will get the soothing benefits just from two drops of Thieves and Lemon essential oils in hot water, but I also like to add honey and I add the mix in mint tea, if you have Peppermint essential oil, you can also skip the tea bag and add one drop of Peppermint to the mix. 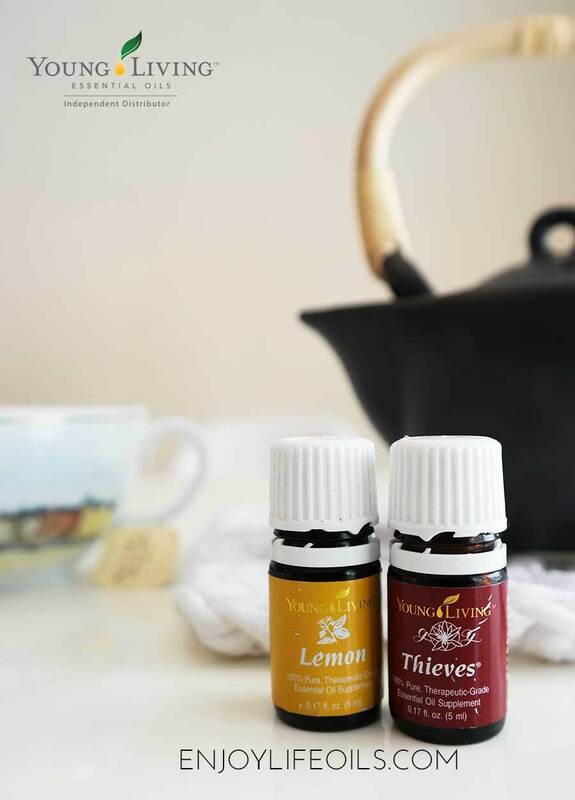 If you are interested in Young Living essential oils, you might also want to check out our brand new website EnjoyLifeOils.com, where we will be collecting more information about essential oils and you can read more why join Young Living as a wholesale distributor. More about natural living in our Pinterest board. Follow Skimbacolifestyle.com’s board Natural Living on Pinterest.